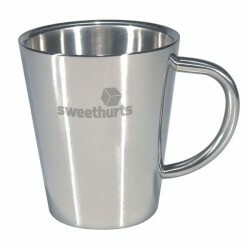 Branding stainless steel mugs are quality promotional merchandise ideas. 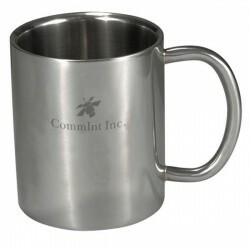 Go all out on your promotional merchandise with these branded stainless steel mugs. 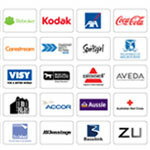 These branded mugs are a smart choice as they can work to expose your brand round-the-clock. 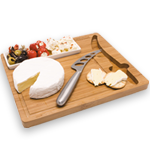 The stainless steel material makes them even more durable, allowing you to enjoy the best value for your money. 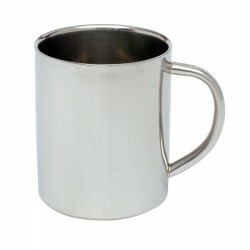 ACE offers a huge assortment of high quality printable stainless steel mugs in a variety of styles and with capacity ranging from 200ml to 475ml. Our personalised double wall fully-coloured stainless steel mugs, which are packed in white gift boxes, are among the best-sellers. 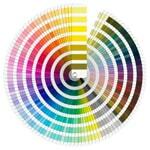 They are certainly impressive as corporate gifts or business giveaways during conferences and tradeshows. Check out the details by clicking on the images below. 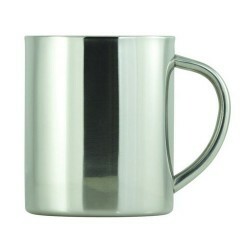 350ml stainless steel double walled mug. Boxed. 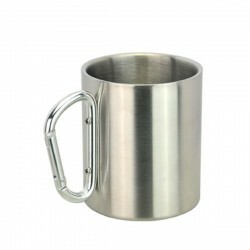 250ml stylish double walled stainless steel coffee mug. Boxed. BPA free, 230ml capacity, Stainless steel double wall, Supplied inwhite box. 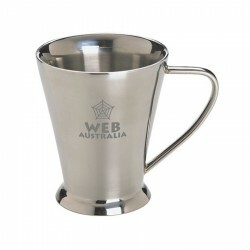 Capacity: 475 ml, Stainless Steel with Carabiner Style Handle, Double Walled. Capacity: 250 ml, Stainless Steel, Double Walled. Capacity: 200 ml, Stainless Steel, Double Walled. 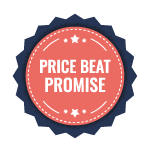 Visually striking, this V shaped mug has been crafted from double-walled Stainless Steel. 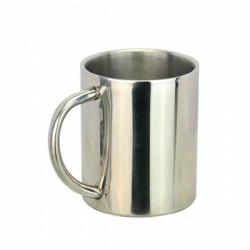 A traditional shaped mug finely crafted from double-walled Stainless Steel. 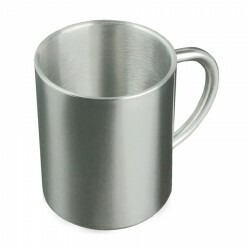 This unique V shape double-walled Stainless Steel mug combines style with functionality. 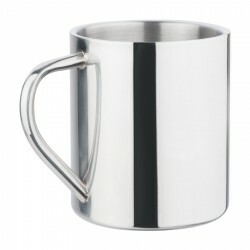 A finely crafted Stainless Steel mug with double wall ensuring your coffee remains hotter for longer. 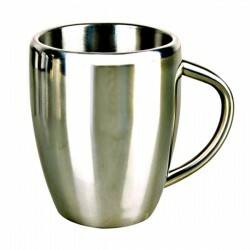 Double wall stainless steel cup. 300ml capacity. Packed White gift box. 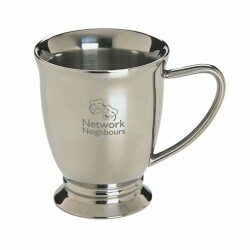 Double wall coloured stainless steel mug. 300ml capacity. Packed White gift box. 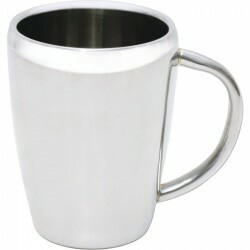 Double wall stainless steel curved mug. 300ml capacity. Packed White gift box.